This entry was posted in Library, Middlebury Community Interest and tagged Friday links on November 13, 2015 by Arabella Holzapfel. For those of you with kids, this article “Teach Kids how to Code, Make Apps and 3-D Models With These Tools” lists some interesting possibilities. From School Library Journal and The Digital Shift. “DPLA Bookshelf lets the user scroll a visual representation of a bookshelf… When a user of the DPLA site searches for books, the results are displayed as books on a bookshelf; the shelf is shown as a vertical stack so that the titles and authors are more easily readable on their spines. The width of the book represents the actual height of the physical book, and its thickness represents its page count. The spine is colored with one of ten depths of blue to “heatmap” how relevant the work is to the reader’s search.” Follow the announcement link to learn more. 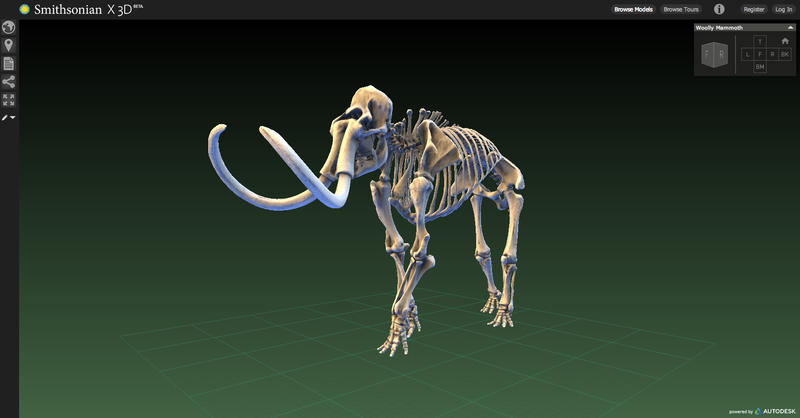 Curious about how 3D scanning works? Check out the video below. This entry was posted in LIS Staff Interest and tagged Friday links on November 15, 2013 by Brenda Ellis. We’ve heard a lot about open access (OA) journals – what about OA books? Possible, sometimes, through Unglue.it. This entry was posted in LIS Staff Interest and tagged Friday links on October 11, 2013 by Arabella Holzapfel. Interesting summary with statistics and graphs on preferences and expectations of 16-29 year olds relating to libraries and technology use. This entry was posted in LIS Staff Interest, Middlebury Community Interest and tagged Friday links on July 12, 2013 by Brenda Ellis. This interesting website from Jeremy Norman “is designed to help you follow the development of information and media, and attitudes about them, from the beginning of records to the present. Containing annotated references to discoveries, developments of a social, scientific, theoretical or technological nature, as well as references to physical books, documents, artifacts, art works, and to websites and other digital media, it arranges, both chronologically and thematically, selected historical examples and recent developments of the methods used to record, distribute, exchange, organize, store, and search information.” (from About the Database). Images and text (with links to wikipedia) are combined with geographical information to allow mapping of the information. This entry was posted in LIS Staff Interest, Middlebury Community Interest and tagged Friday links on June 14, 2013 by Brenda Ellis. ~13 minute video talk by a journalist showing how news organizations verify information posted by users on the web (tweets, photos, videos) using technology such as Google Earth, etc. Did you find an odd box with pieces of paper inside? It might be a book! Some of them still have real pages—and I’ll show you just how to read one. The Business Value of Google Glass and Wearable Computing – Wearable computing is an emerging technology that’s affecting both the consumer and enterprise space. Predatory publishing is what happens when open access publishing is subverted by manipulation, exploitation, and spammer mentality. Jeffery Beall is a librarian who uses his blog to expose predatory publishers, and they would rather he didn’t. Beall has written a Nature column piece about predatory publishing, and his blog is Scholarly Open Access. This entry was posted in LIS Staff Interest, Middlebury Community Interest and tagged Friday links on May 17, 2013 by Brenda Ellis. Makes you want to be an archivist! Cowan, Alison Leigh. “Archivists Bringing Past Into Future Are Now Less Cloistered.” The New York Times, April 28, 2013, sec. N.Y. / Region. This entry was posted in LIS Staff Interest, Middlebury Community Interest and tagged Friday links on May 3, 2013 by Terry Simpkins.